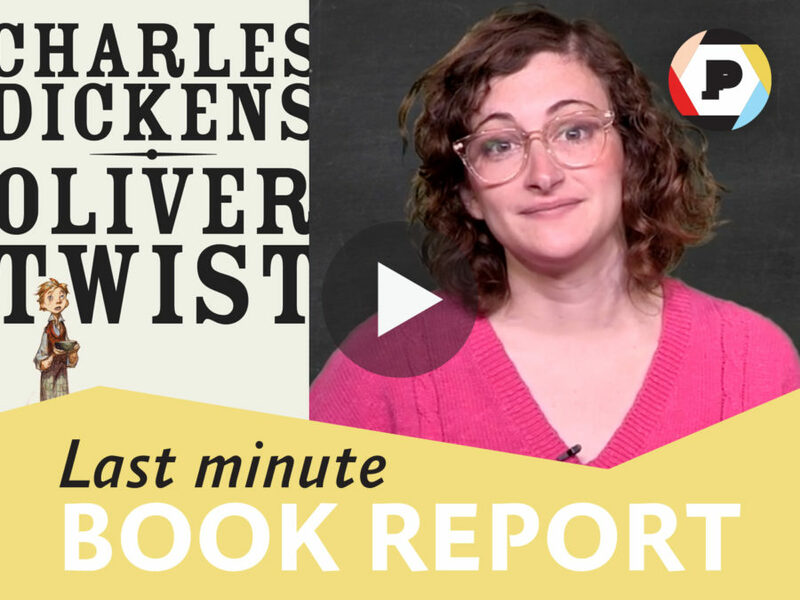 Comedian Jo Firestone tries to guess what's up with Charles Dickens' orphaned character—without reading the book. See what she gets wrong—and right!—below. Read Charles Dickens’ “zero-to-hero” classic, then attempt to explain the plot a little more clearly than Jo does. CHARLES DICKENS was born in a little house in Landport, Portsea, England, on February 7, 1812. The second of eight children, he grew up in a family frequently beset by financial insecurity. At age eleven, Dickens was taken out of school and sent to work in London backing warehouse, where his job was to paste labels on bottles for six shillings a week. His father John Dickens, was a warmhearted but improvident man. When he was condemned the Marshela Prison for unpaid debts, he unwisely agreed that Charles should stay in lodgings and continue working while the rest of the family joined him in jail. This three-month separation caused Charles much pain; his experiences as a child alone in a huge city–cold, isolated with barely enough to eat–haunted him for the rest of his life. When the family fortunes improved, Charles went back to school, after which he became an office boy, a freelance reporter and finally an author. With Pickwick Papers (1836-7) he achieved immediate fame; in a few years he was easily the post popular and respected writer of his time. It has been estimated that one out of every ten persons in Victorian England was a Dickens reader. Oliver Twist (1837), Nicholas Nickleby (1838-9) and The Old Curiosity Shop (1840-41) were huge successes. Martin Chuzzlewit (1843-4) was less so, but Dickens followed it with his unforgettable, A Christmas Carol (1843), Bleak House (1852-3), Hard Times (1854) and Little Dorrit (1855-7) reveal his deepening concern for the injustices of British Society. A Tale of Two Cities (1859), Great Expectations (1860-1) and Our Mutual Friend (1864-5) complete his major works. Dickens’s marriage to Catherine Hoggarth produced ten children but ended in separation in 1858. In that year he began a series of exhausting public readings; his health gradually declined. After putting in a full day’s work at his home at Gads Hill, Kent on June 8, 1870, Dickens suffered a stroke, and he died the next day.